Thomas Jefferson University is a private health sciences university in Philadelphia (130 South 9th Street). 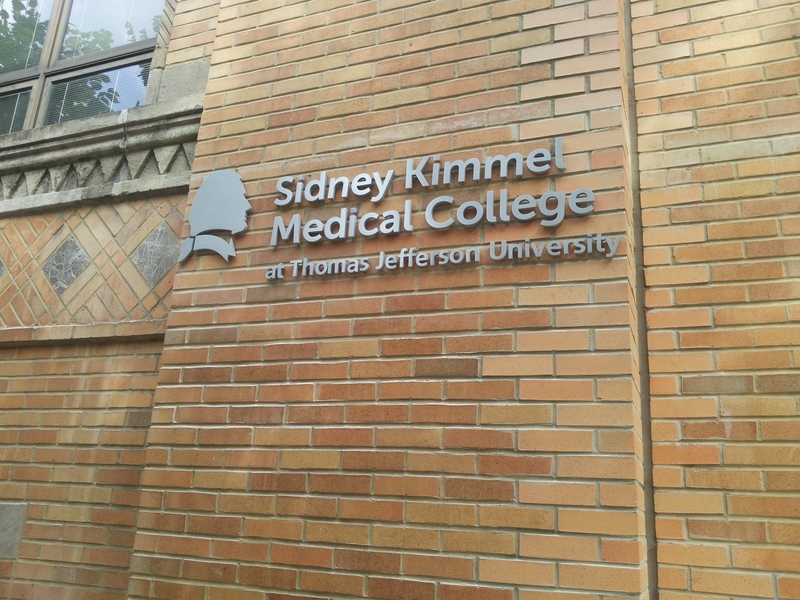 "Although formally established in 1969, Thomas Jefferson University actually dates back to 1824 when Jefferson Medical College (now the Sidney Kimmel Medical College) was founded by Dr. George McClellan. At the beginning of the 19th century, only four colleges in the United States possessed medical Colleges – Columbia, the University of Pennsylvania, Harvard and Dartmouth. For several years, Penn alumni and supporters successfully blocked all efforts to form an additional College. Led by Dr. McClellan, a group of men hit upon a strategy to bypass the situation. 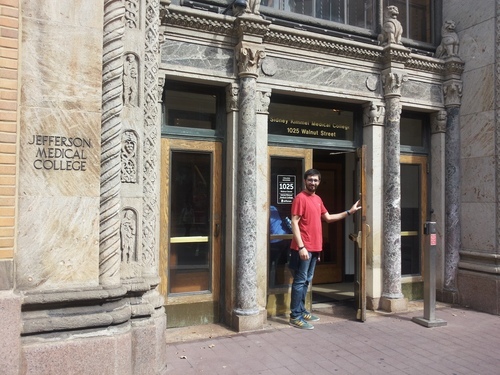 By 1949, Jefferson Medical College included advanced degrees in anatomy, bacteriology, immunology, etc. in its curriculum. The formation of the College of Allied Health Sciences in 1967 began a move toward the integration of other health professions into the Jefferson curriculum. 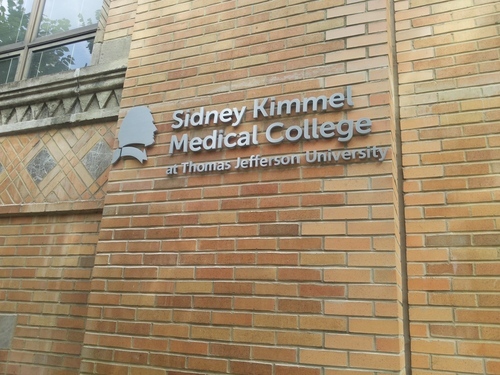 Now known as the Jefferson College of Health Professions (JCHP), it is comprised of six health professions programs – Bioscience Technologies, Couple & Family Therapy, Occupational Therapy, Physical Therapy, Physician Assistant Studies, and Radiologic Sciences – and the Professional & Continuing Studies department, which offers general education courses, including bachelor degree programs. JSHP students earn degrees ranging from Bachelor of Science through clinical doctorate. 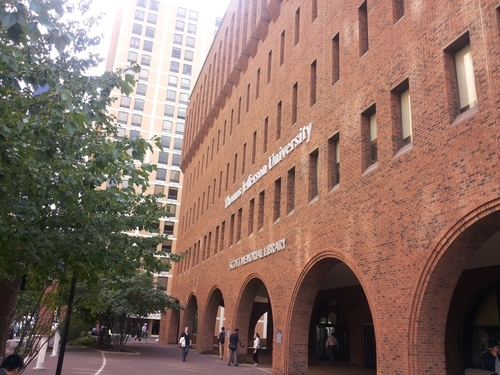 As the first designated school of Population Health in the country, the Jefferson College of Population Health (JCPH), also founded in 2008, is dedicated to the exploration of policies and forces that determine the health and quality of life of populations, locally, nationally, and globally. Accordingly, the JCPH mission is to prepare leaders with global vision to develop, implement, and evaluate health policies and systems that improve the health of populations and thereby enhance the quality of life. Today, [Jefferson is] the largest free-standing health sciences university in Philadelphia. 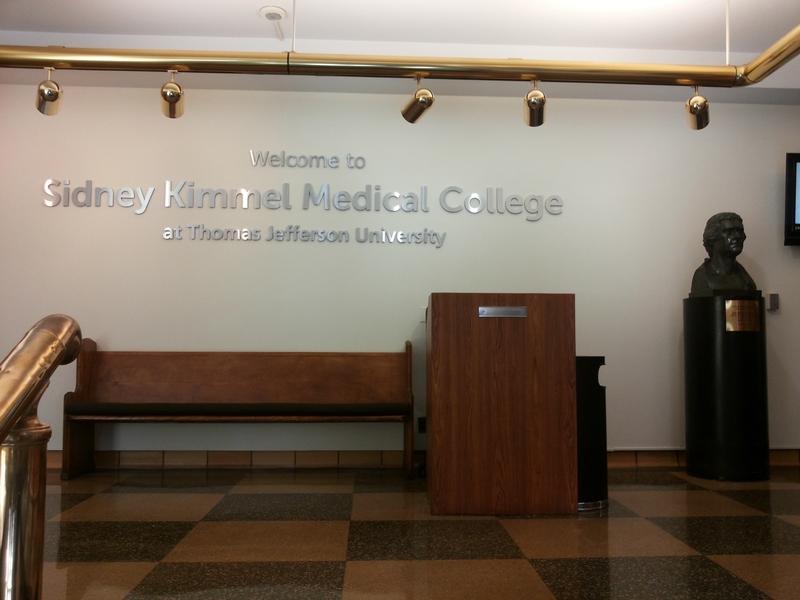 Thomas Jefferson University, along with its clinical partner, Jefferson University Hospitals treats more than 46,000 inpatients and 1,000,000 outpatients every year"1. 1. 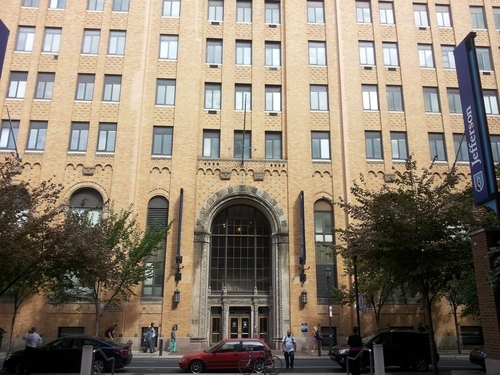 Retrieved and adapted from the Jefferson University's official website (March 2017).